Note: Openshift online 2.0 has been discontinued for their new launch 3.0. The openshift part in this post is for 2.0 only. Since 2011, Blogger is used to host my technical blog - http://51sec.blogspot.com. But during last a couple of years, wordpress is getting more and more popular and powerful. This post recorded the steps how to use Redhat Cloud Platform OpenShift with Cloud Service Company CloudFlare to build a wordpress site under your domain. Enterprise Linux (RHEL), JBoss Enterprise Application Platform, and OpenShift Origin. 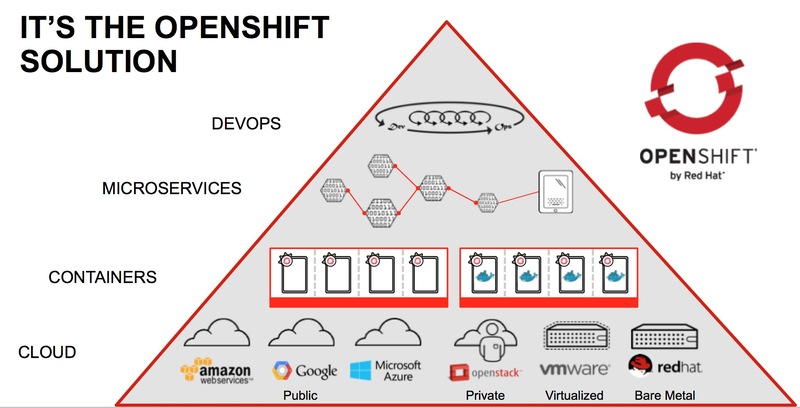 OpenShift offers a choice of programming languages, frameworks, databases and development tools enabling you to get the job done, using the languages and tools you already know and trust. It provides free plan for 1G storage for each of at most three web application in the cloud at this moment. One of my windows 7 laptop is still waiting Microsoft to validate my computer's specific but my another one has been notified and successfully automatically updated. After a couple of weeks waiting, this weekend I lost patience and decided to find other ways to update my windows 7 to windows 10. All information are collected from Internet. 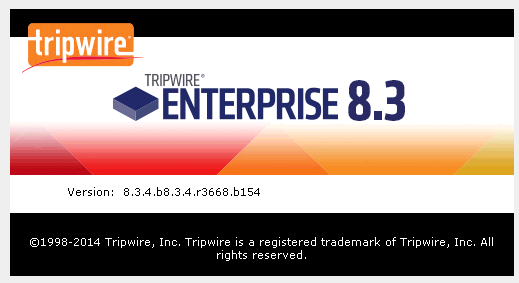 Tripwire Enterprise is a security configuration management suite whose Policy Management, Integrity Management, and Remediation Management capabilities stand-alone or work together in a comprehensive, tightly integrated SCM solution. I was looking for this kind of software for a while. Mostly desktop and servers I am using are windows based. There is no Snmpwalk this kind of command under windows OS. Good things, there are always some genius to see the gap and develop some gorgeous tools to meet the needs from the people like me. retrieve information from an SNMP-capable device, either using single requests (snmpget, snmpgetnext), or multiple requests (snmpwalk, snmptable, snmpdelta). manipulate configuration information on an SNMP-capable device (snmpset). retrieve a fixed collection of information from an SNMP-capable device (snmpdf, snmpnetstat, snmpstatus). convert between numerical and textual forms of MIB OIDs, and display MIB content and structure (snmptranslate). 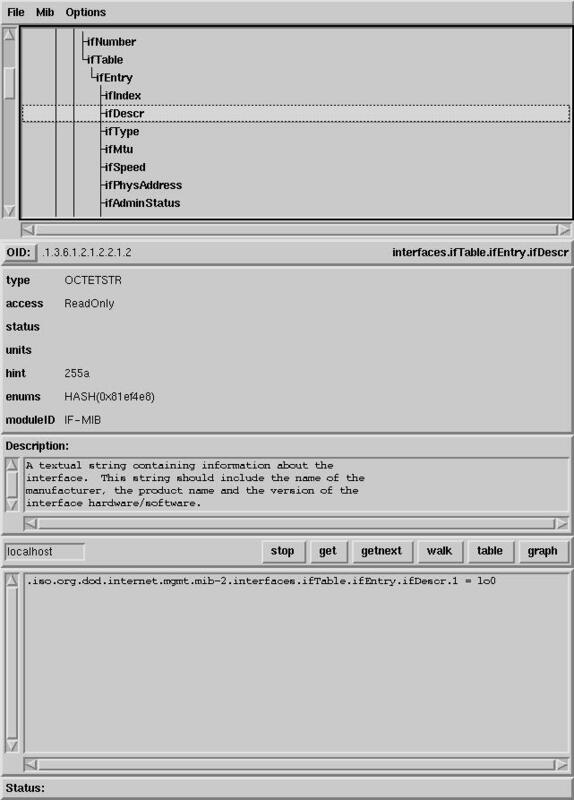 A graphical MIB browser (tkmib), using Tk/perl. A daemon application for receiving SNMP notifications (snmptrapd). Selected notifications can be logged (to syslog, the NT Event Log, or a plain text file), forwarded to another SNMP management system, or passed to an external application. An extensible agent for responding to SNMP queries for management information (snmpd). This includes built-in support for a wide range of MIB information modules, and can be extended using dynamically loaded modules, external scripts and commands, and both the SNMP multiplexing (SMUX) and Agent Extensibility (AgentX) protocols. A library for developing new SNMP applications, with both C and perl APIs. There is a tutorial page at http://www.net-snmp.org/wiki/index.php/Tutorials . Here I would like to list some usage from my person experience.